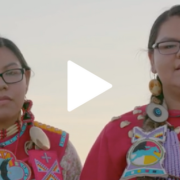 For the next installment in our #AskaNativeAmericanGirl series, we invited two young women from the Standing Rock Sioux tribe — Wacantkiya Mani and Wanbli Waunsila — to explain what their lives are like since the Pipeline’s construction began. There are two crucial things for you to understand: The first is that the pipeline crosses Lake Oahe, which is their main source of drinking water. If an oil leak were to happen (and many outlets have reported that this isn’t a scenario of “if” so much as it is a scenario of “when”), it could contaminate their drinking water, putting their health and families at risk. And if you need a primer on what happens when a water supply gets contaminated, look no farther than Flint, Michigan…a community that is still without clean drinking water. Watch the video and read the full article in Teen Vogue. In the rural South, more than 1 in 4 children and nearly as many women live in poverty. When race and ethnicity are taken into consideration, the poverty rate is more than double for African-Americans and Latinos compared to their white counterparts. 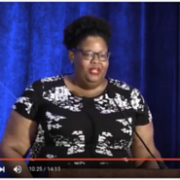 For women and children living in the rural South, poverty is the result of unequal social, political and economic conditions— failing school systems, high levels of unemployment, poor public infrastructure and housing, and the lack of access to quality healthcare—that have persisted over many decades. 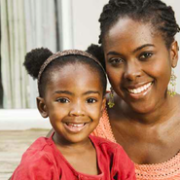 This report, Unequal Lives: The State of Black Women and Families in the Rural South, by the Southern Rural Black Women’s Initiative, aims to shed light on the most significant and persistent barriers to success, opportunity, and economic security for lower-income women and families in the rural South. It also provides an in-depth analysis of the economic security, health, and overall wellbeing of women living in nine counties across the rural South in the states of Alabama, Georgia and Mississippi.